If there’s one time of year that is good excuse to celebrate, it’s Australia Day. Seeing as it’s Australia’s biggest public holiday, it’s no surprise that there is plenty going on in Sydney to keep you occupied this January 26th. 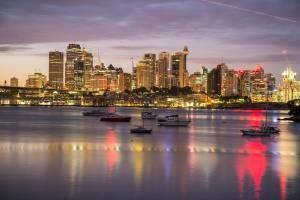 While events are going on all over the city, it’s Sydney Harbour that you’ll want to base yourself as that is where most of the celebrations are held. From the iconic Ferrython to the Australia Day Concert, there are so many reasons to celebrate in Sydney and if you’re worried about fighting for a spot in the crowds, we’ve got you covered – here’s why you should hire a boat for Australia Day in Sydney. Here at Eastcoast Sailing, we have some fantastic options when it comes to Australia Day boat hire. Whether you’re looking for private yachts and catamarans or you fancy living it up with your friends on one of the many party boats- either way, we’ve got you covered. Celebrating Australia Day on the water and getting up close to all of the celebrations in Sydney Harbour is the ideal way to spend the day. We have a fantastic range of boats to hire for Australia Day including catamaran rentals and yachts which all come with a professional skipper, so you can sit back, crack open a drink and enjoy the celebrations. Alternatively if there is a big group of you, then why not celebrate Australia Day on one of our party boats? We have a range of vessels available for you and your friends to party on with some fantastic packages. Whatever your needs or budget, you’ll be sure to find one of our packages that suits you. Popular choices include: beverages, canapés or buffet, wait staff, surround sound and even a DJ. As If you needed anymore convincing – here are some of the many perks of renting a boat for Australia Day in Sydney. The iconic Sydney ferrython is a must do for those visiting the city this Australia Day. The race starts at 11am at which the ferries race from Circular Quay to Shark Island and back. You can watch this race from many spots around the harbour or alternatively, hire one of our boats and then be part of the Sydneython ferry flotilla itself. Imagine watching the Australia Day fireworks with your friends from the comfort of you own yacht – well with one of our boat hires you can do just that. Our skippers can anchor up you boat at many points in the harbour meaning that you can get a fantastic view of the fireworks, without having to fight with the crowds. If Australia Day means a chance to relax to you, then our Australia Day boat hire gives you the chance to do that. Why not rent one of our yachts and sit back, relax and enjoy a chilled day with family and let us do all the hard work. All of our private hire boats come with skippers who will be happy to anchor you close to the many stunning beaches around Sydney Harbour where you can swim and enjoy some food and drinks on the boat. All of our private hire boats come with professional skippers so you can relax and enjoy your day without the hassle. If you would like to make you experience that little bit more special, we have plenty of packages on offer for you too. Packages can includes: Drinks, canapes, buffet, waitstaff, music and DJ’s so contact us to today to help find the right package for you. We have a huge selection of yachts, catamarans and boats on offer that are suitable for a range of budgets with prices starting from $400 per hour. You can view our range of boats available for hire here or feel free to contact us today to speak with a member of our team. -How do i book a boat for Australia Day ? To see what availability we have for Australia Day, please contact us today to speak to a friendly member of our team.